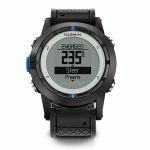 The Garmin Quatix is an outdoor smartwatch meant for multi-sport marine athletes and extreme sport enthusiasts. It�s meant to be used while sailing, boating, fishing, and even kayaking. 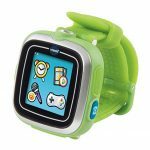 Obviously, this means it�s waterproof with a 5ATM water resistance rating (50 meters or 165 feet). Along with the unique attributes it has, the Quatix also includes a bevy of functions specific to marine sports. For example, it has a race countdown timer and virtual starting line tracker for sail competitions. It does have full GPS and can track current location to monitor routes and waypoints.